WON'T LAND YOU FLAT: Our premium, professional material holds up to 2,000lbs and is extra thick and won't burst while you're exercising in even the most rigorous workouts. Considered the best abdomen exercise equipment. 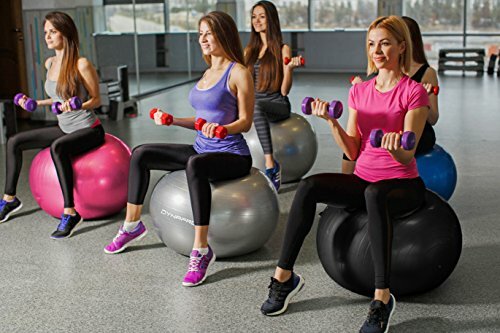 Safe and strong enough to use daily as exercise equipment for home, desk, kids, women, and pregnancy WORKOUTS ARE FAST & FUN AGAIN: Getting motivated to workout can be hard, but not when you have the best abdominal exercise equipment at your fingertips. 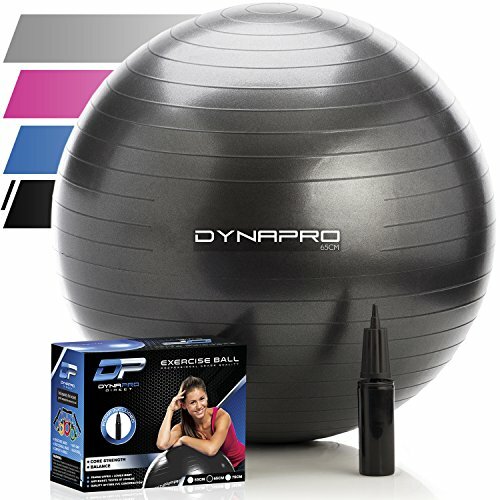 Dynapro's stability balls include a quick-start workout guide from CRUSH Fitness Personal Trainers. Whether you're at home or in the office, exercising can be fun again! WON'T BREAK THE BANK: Exercise equipment is expensive! But you can work your abdomen and increase your core strength simply and easily with Dynapro's swiss ball without spending a fortune. 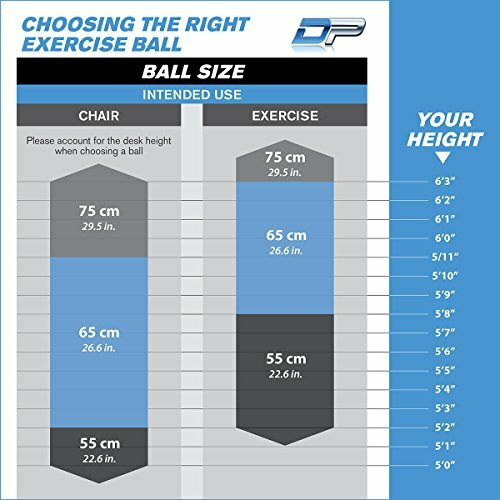 Keep one in your home gym, one in the office, and one at your desk for quick ball exercises. TAKES UP LESS ROOM: Exercise equipment can be big, bulky, and noisy and can take up a lot of room in your home or office. Want to tone up your abs, but you're still at work? Roll your swiss ball out, work your abs, put the ball back behind the desk, and get to work again. Highly portable! NO MORE SLIPPING: Sweaty workouts can make it hard to grip the ball during exercises. 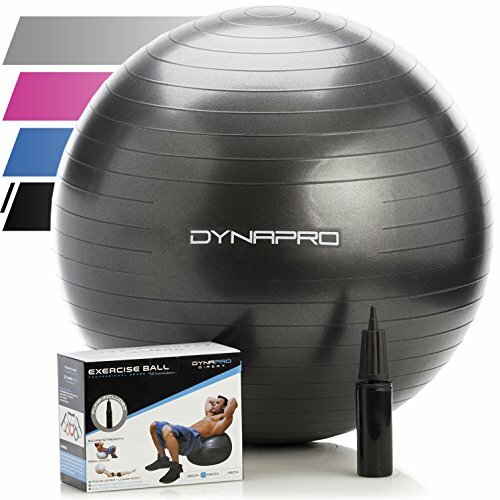 Dynapro's slip-resistance material makes this ball the best exercise equipment for abs, pilates, yoga, aerobic classes, for the classroom. Also perfect for pregnancy exercises. 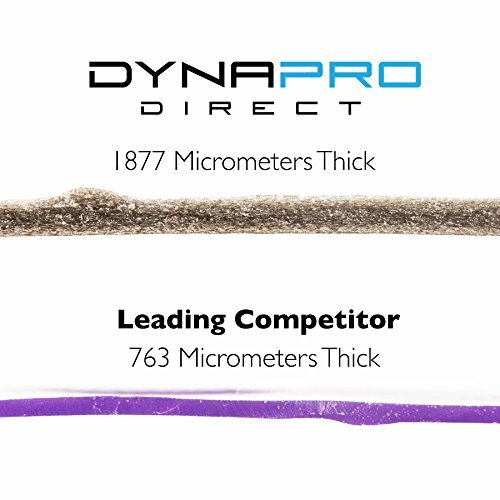 See product description below for sizing recommendations.